The publication of a new Mary Russell novel is always a source of celebration. I’ve been following this series by Laurie King since its early days, shortly before the publication of the fifth book in 1999, and I remain impressed at how well the series has maintained its high quality. 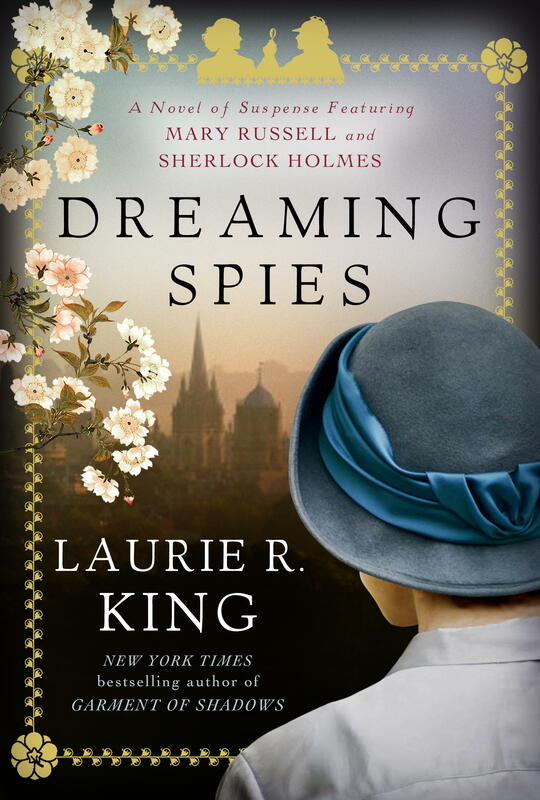 Dreaming Spies, the 13th Russell novel, scheduled for publication on February 17, is not among my favorites in the series, but it’s still quite entertaining. The novel begins in 1925 with Mary Russell and her husband Sherlock Holmes returning to England after a long nonstop series of adventures. Mary is ready for a rest, so she heads to her Oxford home only to find a young Japanese woman in her house, bleeding and looking for help. At that point, the book flashes back to 1924, just after the events in The Game. Russell and Holmes are taking a ship from Bombay to Japan, en route to California, where Russell can attend to some long-neglected family business (as depicted in Locked Rooms). Also aboard ship is the alleged blackmailer Lord Darley and Haruki Sato, a young Japanese women from a family of acrobats. Russell and Holmes keep a wary eye on the one while getting to know the other. After the reach Japan, they find out how the two are connected as they embark on a new adventure. An adventure involving Japanese baths, the work of Matsuo Bashō, and some ninjas. As I mentioned, this wasn’t one of my favorites in the series. It seems to take a while to get going. It wasn’t until almost the midpoint of the book that the central mystery is established. There were also fewer great character moments than I’d like. There’s also the fact that I picked up on multiple hints before Mary did. There were two revelations presented as great shocks that looked obvious to me from the get-go. King generally plays fair in setting up her mysteries, so that’s always a danger, but this may be the first time I was surprised at Mary’s surprise. My being a step ahead of the detective isn’t enough to set me against a mystery, this was something unusual for this series. This may not be among the top tier of Russell and Holmes adventures (the top tier is home to A Monstrous Regiment of Women, A Letter of Mary, O Jerusalem, Locked Rooms, The Language of Bees, God of the Hive, and Garment of Shadows), but that doesn’t mean it’s not an excellent book. An average book in an above average series is still an above average book overall. I received a copy of this book for review consideration through the LibraryThing Early Review program. Oooh, I’ve been slightly disappointed in a couple of the Mary Russell books, so it’s good that you’ve tempered my excitement that oooh, oooh, there’s a new one out!!!!!! Not long to wait now, though! Wow, I can’t believe I’ve never heard of this series! It sounds so interesting – the fact that she weaves in real literary figures is so interesting. I’ll have to check these books out! It’s a wonderful series. The main characters are wonderful, and King has avoided falling into a rut with the types of stories she writes. The first is not the best–so if you don’t love it, perhaps try the second as well. Great review! Your last part was spot on: An average book in an above average series is still an above average book overall. 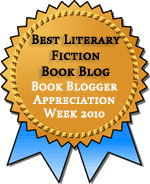 I hated being critical because it’s such a good book, just not when I held it up against others in the series. I felt this series had rather lost its way and so I’ve stopped automatically getting a copy of new ones as they come out. This appealed to me though because it is set in Oxford and I thought I might try it. Now I’m not so sure. Perhaps when it comes into paper back, or if our library decides to get a copy. As you can see, Frances loved it, so don’t take my word alone. I think Frances may have been more of your mind about the last few books, which I particularly enjoyed. Well, we both love them but certainly do not share favorites. I really enjoyed this one and especially appreciated what I perceived as a more subtle but deeper interplay between the two principles. I’m also keenly interested in Asian culture so that helped as well. Perhaps one of the great things about the series is the way King changes things up, pleasing different sets of fans with each book.